Brown Canada, a project by CASSA, is a community led project which seeks to document, create and share South Asian History of Canada. Brown Canada seeks to explore and document diverse South Asian history and community experience related to; employment, women and feminism, queer and transgendered individuals. The project begins its work by documenting the happenings of Komagata Maru (Indians were denied entrance in Canada in 1914) and calls upon South Asian Individuals and communities to help share and document history. 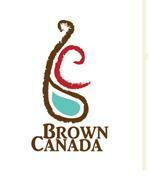 For Brown Canada website click http://www.browncanada.com/index.php.